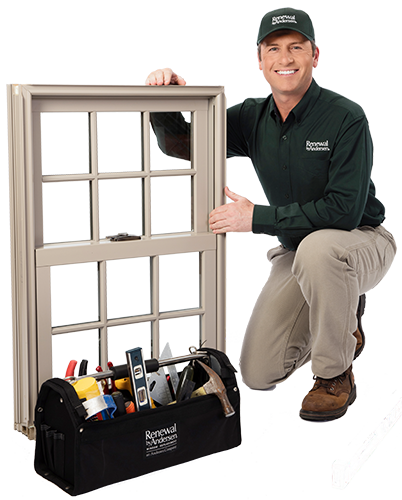 Welcome to South Jersey Window your source for custom crafted replacement windows and patio doors in South New Jersey. If you value superior performance, wonderful aesthetics, a hassle free process, professional installation and a great value, Renewal by Andersen is the company for you. The Better Way to a Better Window in South Jersey from the Replacement Window Division of Andersen Window Corp. Renewal by Andersen’s® Signature Service is the perfect combination of the best people in the industry, a superior process and an exclusive product. From design and sales through installation and service, we own the entire process—giving you a single point of contact and helping make replacing your windows the best home improvement project you’ve ever done. It’s the kind of service you would expect from the Andersen name, and it’s only available at Renewal by Andersen®. 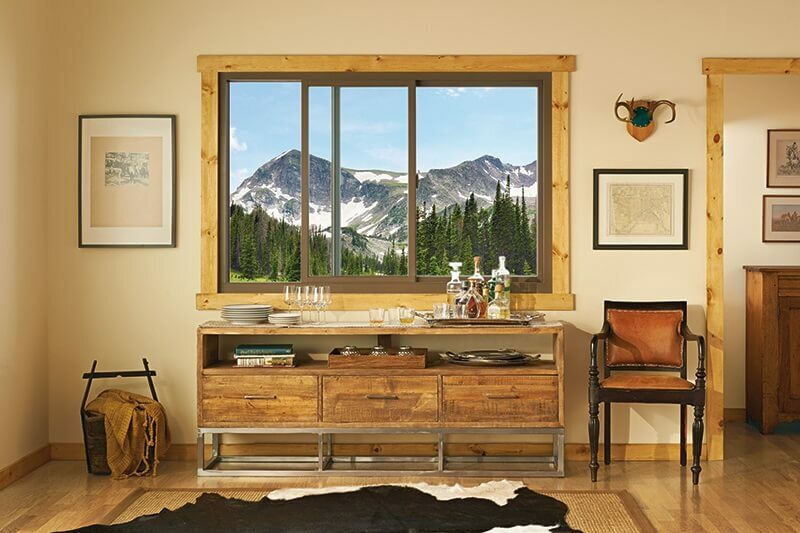 The Andersen window corporation has been leading the industry with innovative products for over 110 years. 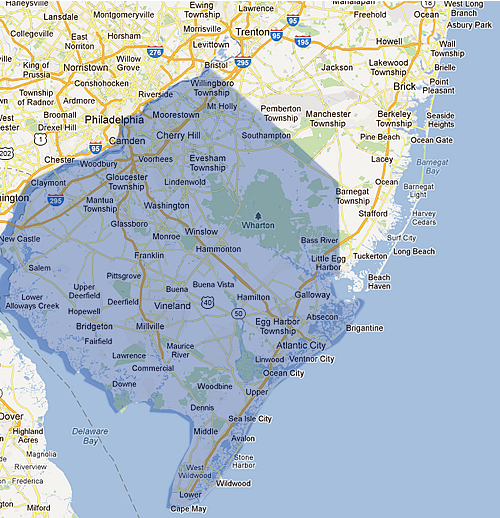 As the replacement window division we are dedicated to continuing that success throughout the South Jersey area from Cherry Hill and Mt Laurel all the way South to Vineland, Cape May and Atlantic City up the coast to Toms River Trenton and nearby areas. Unlike general contractors who perform a variety of repairs, builds, and installations our trained installers only do one thing; install the perfect custom windows for your home. Each technician has mastered this art which translates into more durability and energy efficiency for your New Jersey home. After all, even the most insulating windows will not be efficient if they are not properly installed. Choosing Renewal by Andersen insures a the performance and beauty customers have come to expect from the Andersen name. With so much talk about R and U values, it’s not hard to understand why window buying can be a confusing process. Renewal by Andersen understands energy efficiency is just as if not more important than the look of your new windows. We are set apart from other window companies in the New Jersey area because instead of focusing on window glass we are dedicated to providing all around comfort. We do this by concentrating on the installation, and precise measurement of the window frame in addition to our high tech E-4 glass. Who doesn’t want a beautiful home? While the Renewal by Andersen name has been made on custom craftsmanship and energy efficient windows, we believe we also have the best looking windows on the market and we want to share them with South Jersey. It all starts with the high quality Fibrex material used for all our windows. They say it’s hard to imitate quality and that’s why we use only a premium framing material. With 47 difference interior and exterior color combinations to choose from you are sure to find the right match for the unique look of your home. We take a unique approach to window sales with our personable in-home consultations. Since we come to your home at your convenience we find it to be the most stress free environment to talk about your window and patio door replacement needs. It’s also the only place we can perform our complimentary in home energy analysis. This lets your know exactly how much energy you are currently losing through your current windows and helps you make the right decision on how urgent the need is to invest in new windows. It’s not unusual for us to replace low quality windows on homes around town that were installed less than 10 years ago. The point is, you could have a lower quality vinyl or fiberglass window put in but may experience drafts, added noise, and higher energy bills just to have to reinvest in a matter of years. Or you could choose long term value with a product that is proven to stand the test of time. If you need help paying for your new windows we have a range of affordable financing options with no upfront fees and low minimum monthly payments. 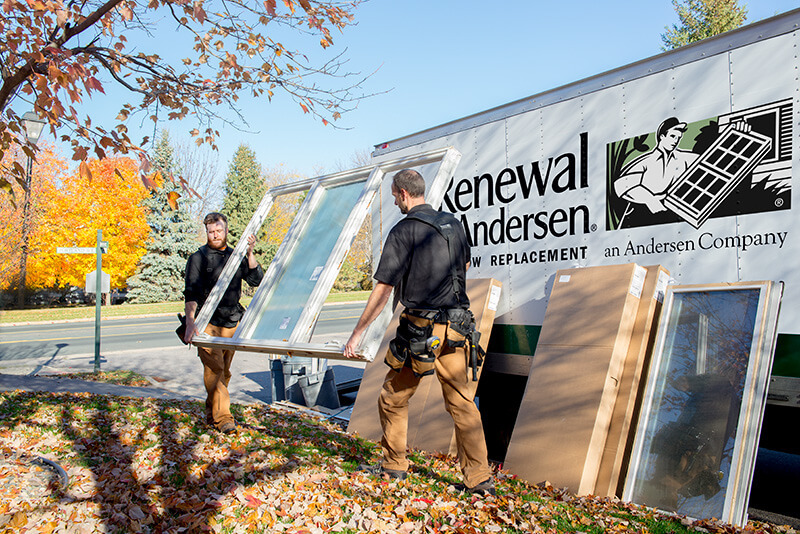 Renewal by Andersen® is the window replacement subsidiary of Andersen Corporation, a company that has revolutionized the window and door business for more than 110 years. Welcome to Renewal by Andersen windows of South Jersey. 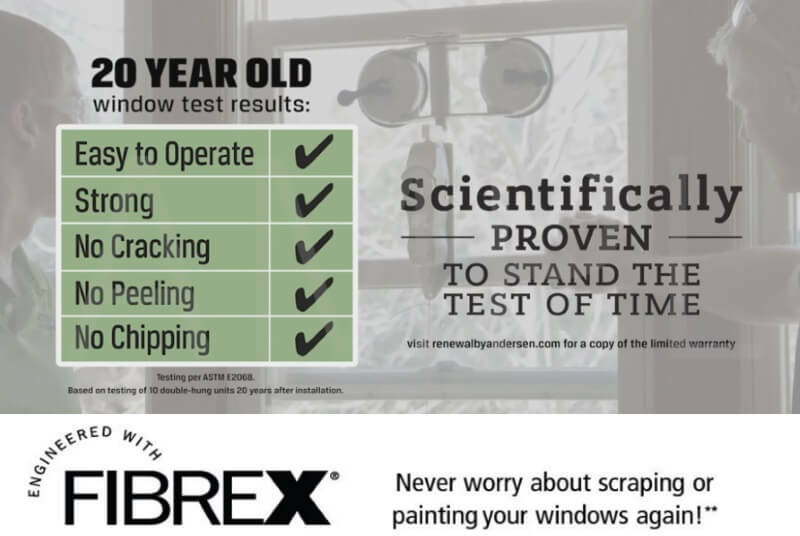 We are South Jersey, Philadelphia, West Chester, and Northern Delaware’s source for custom fitted, highly energy efficient window replacements and patio doors. Our products are perfect for older to historic homes, bead and breakfasts, any space that needs a custom sized window replaced or any home where energy efficiency, beauty and precision is valued. From our knowledgeable customer service team to replacement windows and door installers, best in industry financing and warranties we are confident you will feel comfortable throughout the entire buying and installation process. In order to match you with the perfect window replacement or patio door option, we schedule free consultations where you can speak to one of our experts right from the comfort of your home. Call today to schedule an appointment. The first is most likely finding a window installation company you can trust, something we have been building with customers for over 105 years, the time we have been in the window replacement industry. We promise to treat you and your home with the courtesy it deserves and provide the most precise installation possible. Secondly you probably want the energy efficiency that comes from highly insulating windows. Our unique Fibrex® material is a high tech solution that offers money saving efficiency all year long. Finally, you most likely want a product that will not only match the beauty of your home, but ad to it. The colors of our replacement windows, trims, and accessories are highly customizable and handpicked to go with any property from a historic home to a more modern design. The process starts with a no-cost in home consultation where we come to you, help you choose the perfect style and trim. In addition we will perform an energy analysis to help you find out how much energy loss your home is experiencing through your current windows. Our past customers appreciate the fact we work on your schedule and help you learn more about what makes our products so special right from the comfort of your home in South Jersey or nearby towns. Hopefully after your consultation you decide our window replacements are the right choice for you. If this is the case, we will figure out the payment or financing option that works best for you are promptly begin building your custom windows in a factory made right here in the U.S. When your custom windows are complete and send to our storefront we schedule a time to install them. Our installation technicians will the come and install your window replacements; a process which should only take a couple of days depending on how many windows you are having installed. Because each window is made to fit a specific window frame, it will be the perfect fit every time. This process of carefully measuring and custom crafting replacement windows not only makes your home more energy efficient but also helps protect your home from water and other damage. You will most likely notice the difference right away through reduced energy costs, a more attractive interior and exterior of your home, as well as a better view of the outdoors with increased glass surface area made possible by our patented Fibrex® material. Because Fibrex® is so strong; we are able to make the window frames thinner so there is more window for you to see out of. We also offer one of the best limited warranties in the replacement window business. This includes a 20 year limited warranty for glass, 2 year limited warranty on installation, and 10 year limited warrantyon other components. As a part of the Andersen window family, we strive to take care of you from the moment you make that first call to years down the road when you might need a service for your windows. With Renewal by Andersen replacement windows of South Jersey, you get much more added value than you would receive with traditional window or door installers. You receive the peace of mind that comes with working with a company that specializes in only windows and doors and has for well over 100 years. Next, you are guaranteed your windows will last with our high quality construction and warranty. Our windows are so coveted they can substantially increase the value of your home as well. Most importantly you get the best customer service in the industry and a finished product that matches the exact vision you have for your home. There was a very minor imperfection on one of our window panes. We were delighted that RBA immediately initiated the replacement process, without hesitation and without any hassle for us. Installer was very professional, obviously experienced and knowledgeable. The job was done within time promised and the installer cleaned up everything before he left. We are so glad we contacted Renewal by Anderson. Not only did we get a quality product, but we were very impressed with all aspects of the process....the salesman who educated us about the door itself, the gentlemen who did the installation, the office staff who kept us apprised of the timeline for delivery, and the young lady who came for the final inspection and warranty. All professional, personable, not pushy, and qualified to do their particular job. There's not one thing we could think may have been done better! Thanks for a most pleasurably buying experience! It was a pleasure meeting Eddie Kay. He was very informative and assured me I would be very happy if I chose Anderson Windows. He was right. Everything from ordering the window to it's installation went along smoothly. Next time I need a window replacement , I will definitely buy from this company again. We are very happy with the quality of our new sliding glass door. From sales to installation excellent service. Since 2010 I have worked on completing window replacement in my home. Never did my thoughts falter to use another company. If you are considering getting quality windows do NOT hesitate to use Renewal By Anderson windows. All representatives are the best team around! I had Andersen windows installed in 2015. The experience went smoothly from start to finish. I decided in 2018 to have additional window replace and called Renewal by Andersen immediately. The order was placed, and installation was done on time in September 2018. Unfortunately, this time there was an issue with the order. Some windows were missing and wrong materials were installed. The GOOD news is that Renewal by Andersen lived up to their guarantee of 100% customer satisfaction! All issues were immediately confirmed, corrected and installed beautifully. I am thrilled with my new windows and would trust Renewal by Andersen with any future window replacement orders. P.S. A special shout out to Jamie in the Cranford, NJ office!! From the first sales meeting right through installation, we were very happy with the professionalism of everyone involved and of the wonderful job they did. We're very happy with our high-quality windows and the quick and professional way in which they were installed. Andersen delivered on their promises! The first thing the crew did was cover my floor and furniture with plastic. All the windows were taken out and the new ones put in, chalked and trimmed. They took the plastic away and vacuumed. You could hardly tell anything was done. My house had a beautiful facelift! Windows are great quality. Made a huge difference is reducing outside noise and keeping our home comfortable temperature. Want Renewal by Andersen windows in Pennsylvania or Delaware? Renewal by Andersen is proud to serve South Jersey, Northern Delaware, and areas around Philadelphia with the finest quality replacement windows and patio doors on the market. Contact us today for a price quote on our start to finish window and door replacement process.